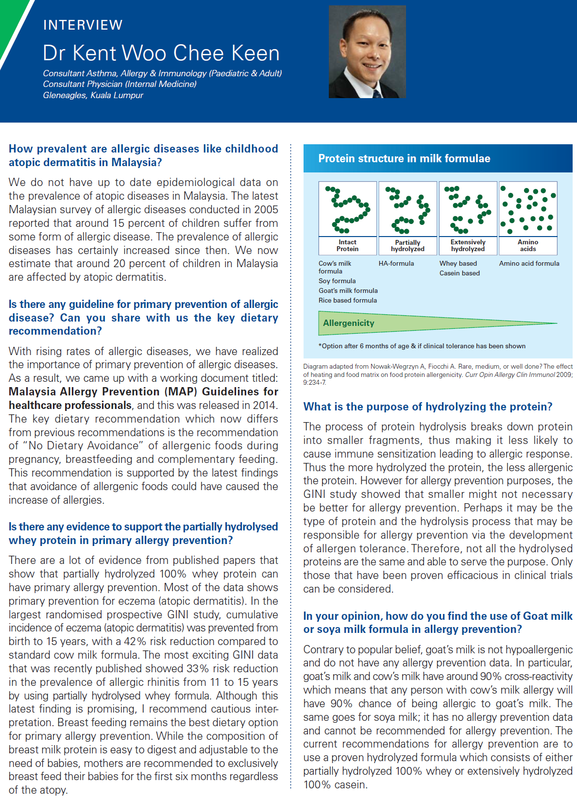 Cow milk allergy is the major food allergen for children in Malaysia. Shellfish allergy is the major food allergen for adults in Malaysia. Epinephrine/Adrenaline and not antihistamine is the main treatment for anaphylaxis from food allergy. The main treatment for food allergy is avoidance of the offending food. Desensitization or immunotherapy for food allergy has to be done by a trained medical professional in a supervised setting. Do not attempt this at home. The development of allergy is a very complex issue that involves both genes and environmental influences. Science is still trying to discover the mechanisms for the development of allergy. One of the discovery from medical studies is that the use of hydrolyzed formula can help prevent allergy. It is important to chose the formula with proven medical evidence. By referring to the GINI study, the use of partially hydrolyzed formula Nan HA can prevent eczema if exclusive breast feeding cannot be done. The extensively hydrolyzed casein formula Nutramigen also has data showing that it can prevent eczema; but this special formula is primarily used for instances of cow milk allergy. 70% of Asthma has an allergic trigger, as a result it is important to identify the trigger so that proper management can be utilized. 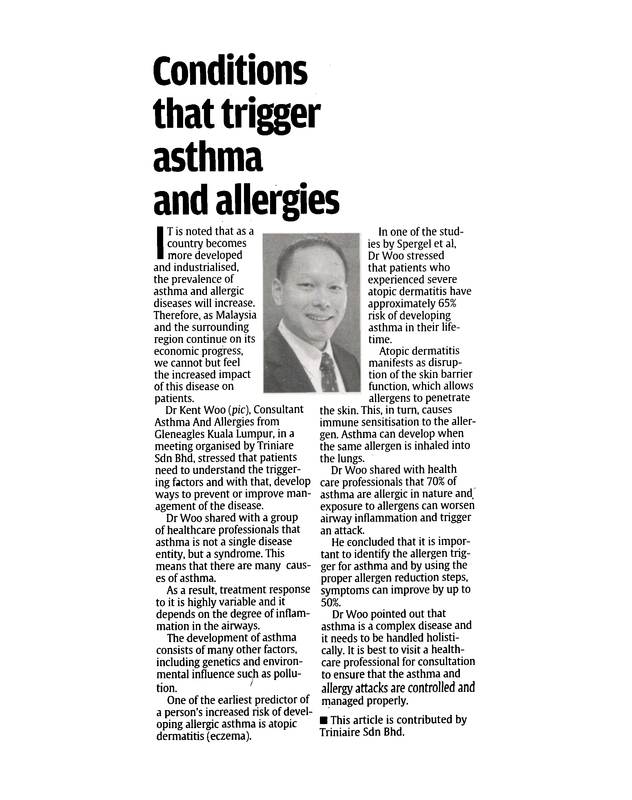 Please see a qualified Allergist/Immunologist if you have asthma that is uncontrolled. 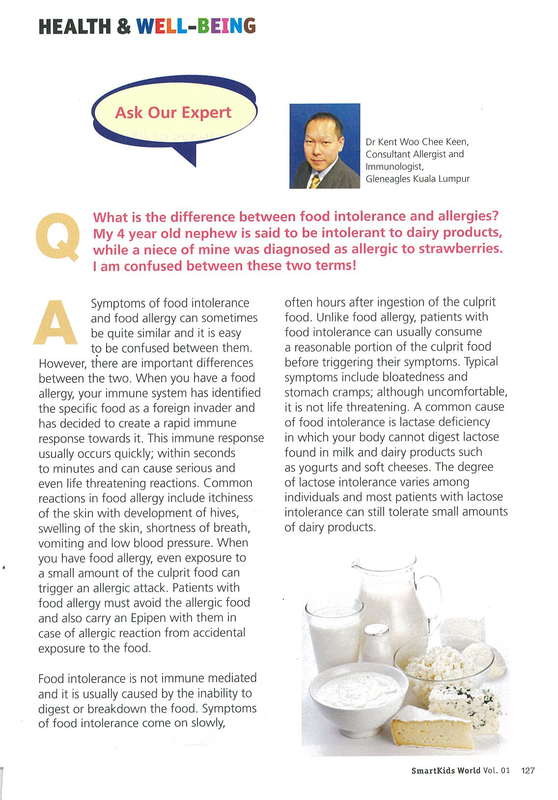 Comments Off on Food allergy or food intolerance?